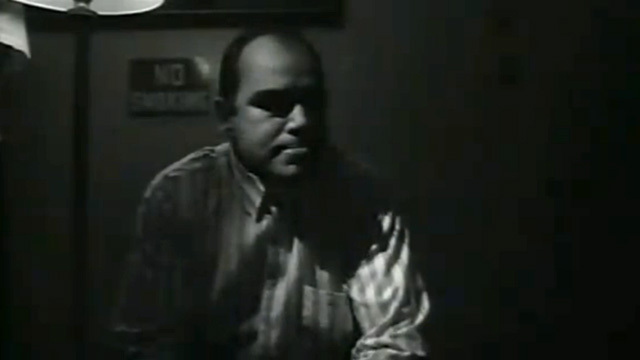 The 1994 short film classic remade into the Oscar-winning feature Slingblade. Alexander Mackendrick, a successful Hollywood director turned CalArts teacher, once wrote that “student shorts come in three lengths: too long, much too long, and really much too long.” This adage can be extended to all short films. There often seems to be a mistaken belief that making a long short film somehow shows an ability to make a feature film. In this day and age of microbudget features, making a feature film shows you can make a feature film. A few notable exceptions keep hope alive for the filmmaker insistent on torturing programmers with their opus: Five Feet High and Rising (29min), Bugcrush (37min), and of course Some Folks Call It a Sling Blade, which clocks in at 25 minutes. Sling Blade is notable for many reasons beyond its length. It was made into an extremely successful feature that grossed 25 million dollars on a million dollar budget. It is also the first time I’ve seen a short nearly shot-for-shot incorporated into the beginning of a feature, and have it work. This is not a compressed feature, or a segment of a feature adapted into a short; it is a bona-fide feature film beginning that plays on its own. The film follows a young woman reporter hoping to get an interview with a former murderer on the day he is to be released. He’s been in prison for nearly 20 years since he murdered two people Michael Myers-style when he was just twelve years old. Shot in gorgeous black and white and featuring a virtuoso performance by Billy Bob Thornton (who directed the feature version) it’s a short film that’s worth taking the time to watch in the dark.